Many studies show there are cognitive benefits from being bilingual. Bilingualism increases the executive function of the brain, responsible for planning and problem-solving. Yes, the 4-year-old translating for her parents at the pharmacy has connections in her brain that a monolingual does not and is providing an essential service to our society. In many fields, if you speak more than one language, you make more money. A bilingual teacher in North Texas can make up to $4,000 more a year for working the same amount as a monolingual teacher. The same teacher also has more job opportunities and security. Recently, studies are showing that bilinguals develop Alzheimer’s or dementia five years later than people who only speak one language. If any of you, like me, has seen a loved one suffer from severe memory loss, you know how priceless five more years could be. Who would not want their children to be smarter, have more opportunities, and be in their right mind years longer? But we are ignoring the untapped resource of our indigenous and immigrant communities. In 2012, there were more than 4.5 million students in U.S. schools learning English as a second language, not even accounting for the fully bilingual students. The census predicts that by 2030, around 40 percent of school-age children will have an immigrant parent. Many people read this with fear. How will we teach all of them English? Actually, youth are losing their home languages quickly in schools that symbolically privilege monolingualism. Immigrant families usually lose their language by the third generation. But how can we afford bilingual programs? Perhaps the question is: How can we afford not to? I see the wonderful potential bilingual youth offer us to develop a linguistically competent society. Still, many people are uncomfortable hearing patriotic songs in multiple languages. To them it feels like losing a country. A country that punished generations of children for speaking their home languages in school. I understand they feel threatened. If we really think it is better to be bilingual, then monolingual English-speakers lose power — power that has been inherent for generations. An alternative is to see the beauty of multilingualism. Or we could just want to improve the economy. Either way, individuals that enrich our country with their languages are certainly a resource for all of us, like my son. In fact, they are perhaps essential to America’s future success in a global economy. So, I raise my glass of Diet Cherry Coke to the immigrants and people who speak native languages in the United States. Thank you for enriching my life and giving my child what I could never do just on my own. The Coca-Cola Super Bowl commercial in January stirred up conversation about whether or not English is, or should be, the true “American” language. While this is not a new conversation, it is a valid one nonetheless. The United States of American was founded to be a nation of freedom for all peoples from the start; since then, we have struggled to define our national linguistic identity. This has presented a constant cultural crisis that every generation must decide how to cope with in its own way. Looking back, the U.S. has defined its culture by pushing “American” culture, including the English language, on everyone. Some people think that this is still necessary. 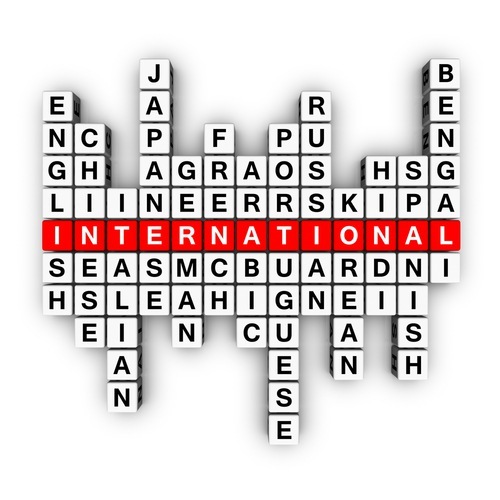 But now we’re in a time where being multi-lingual is highly valued throughout the world. It shouldn’t be any different here in the U.S. In the past, America dealt with this issue by defaulting to the language spoken by a majority of people, or by the people with the most power. Either way, that language was English. I think this was their natural tendency and not necessarily a bad thing; uniting all citizens under a common language makes communication a lot easier for sectors like government, legal processes, education, health care industries and the business world. But, I also think how the nation went about that uniting process, forcing English on Native Americans and immigrants while degrading their native languages, could be a bad thing. However, in the last half-century or so, with the emphasis on equality, the coming of technology, the new value seen in diversity and the rise of “global citizenship,” we’ve arrived at the place to change that and decide once again how we are going to cope. So, let’s throw some stats into the picture. The U.S. Census Bureau published the results of their American Community Survey, “Language Use in the United States: 2011″ in August 2013. It found that 20 percent of Americans spoke a language other than English in the home. Of that 20 percent, approximately 78 percent spoke English “very well” or “well” in addition to their native language. It should be noted that this survey was taken of people aged 5 and over, so some survey members may not have even been enrolled in public school, yet. The same report also found that though the Spanish language has had the largest increase in the number of speakers from 2000-11, its 34 percent increase of speakers was nothing compared to the 115 percent increase of South Asian language speakers. Let these statistics dispel any notion that one single culture is trying to “overrun” any other culture, or that the majority of immigrants don’t know English or aren’t willing to learn. That is simply not factually correct. There are societal benefits to knowing English. Speaking English can present many opportunities in today’s world; it has become the global language of business and having that skill as a native or fluent speaker is very valuable in the growing global community. Having a common language- English- as a uniting force in the U.S. is not a bad thing – it makes the gears of government and economy run more smoothly. But on top of that, it serves as a way to unite the nation and give all the cultures a common medium to share their stories with each other. It gives Americans of all backgrounds the opportunity to experience the world without ever having to buy a passport or even (lightbulb!) learn another language. That being said, why shouldn’t people want to learn other languages? Being proficient in two or more languages is even more valued in the global community. Having interviewed several international students over the past three years, I’ve learned that many developed countries make learning second, third and even fourth languages a requirement in their school systems. Because of that background, I think many immigrants come to the U.S. with the perspective of wanting their children to be bi-lingual or multi-lingual; it can certainly be advantageous. It’s time the rest of us catch up. It’s time we value the variety of cultures in our nation as an opportunity for great learning and sharing. Coca-Cola put out a “Behind the Scenes” video for their controversial commercial and in it, one of the interviewees stated, “We don’t get to pick and choose whether America should be diverse or not, it is diverse.” It’s time we recognize that our nation is not defined by English, but by its people and all the beautiful stories they bring with them. So, we’ve come to a time to choose. It’s time we choose to say yes to continuing to teaching English in schools and using it as our primary language, but not as a way to replace other languages. Instead, it should be used as a way to unite them. Esta entrada se publicó en Aprendizaje de idiomas, Bilingüismo y Multilingüsmo, English - Inglés, Enseñanza de idiomas, Lenguas Minoritarias, Lenguas por el Planeta, Lenguas por la Integración, Lenguas por la Paz, Lenguas por los Derechos Humanos, Opinión, Sociedad, Vídeos y Películas y está etiquetada con academia de idiomas en Noia, aprender idiomas, aprendizaje de idiomas, beneficios del multilingüismo, bilingüismo en los EEUU, clases de idiomas en noia, cursos de idiomas en Noia, cursos intensivos de idiomas, enseñanza de idiomas, enseñar idiomas, learning languages, multilingüismo en los EEUU, multilingualism in the USA, países con más de una lengua, sociedades con multilingüismo, speaking languages en 10 septiembre, 2014 por galdomara.